As a panel is folded down, a locking strip is smoothly pushed downwards due to each panel’s guiding surfaces. When the guiding surfaces have passed each other, the locking strip flexes back and thereby pulls down the folded panel into a perfectly aligned and locked position. 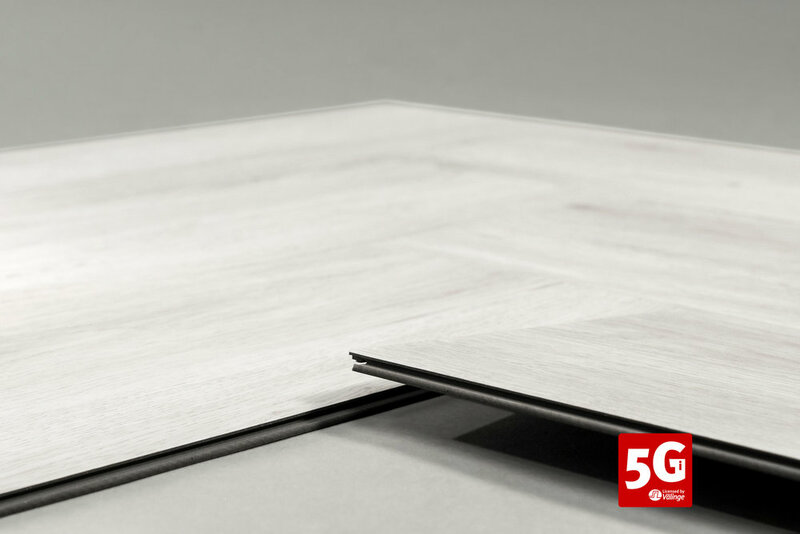 LVT, WPC and SPC products down to 4 mm thick, can easily be installed as herringbone, square basket or parallel rows with the latest version of 5G-i.